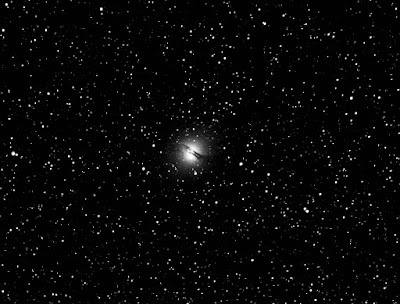 Centaurus A color image processing with Photoshop. 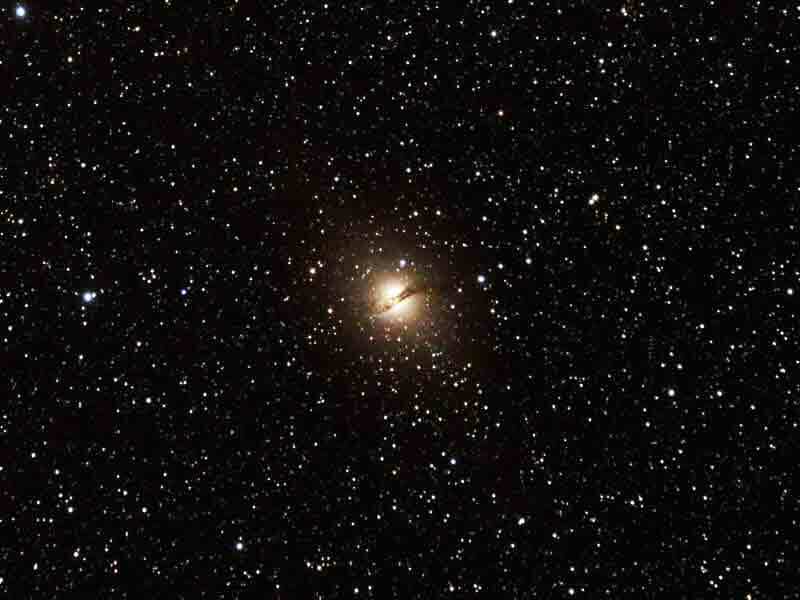 Centaurus A is a prominent galaxy in the constellation Centaurus. 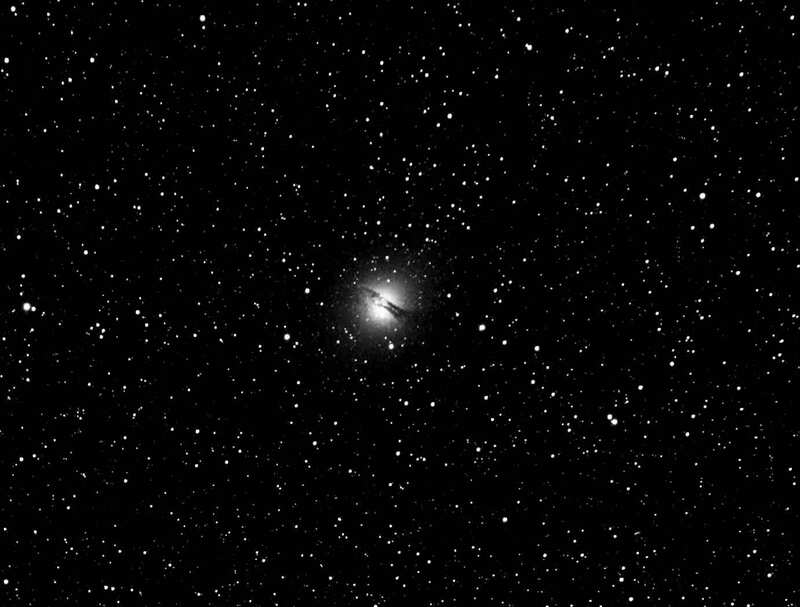 There is considerable debate in the literature regarding the galaxy's fundamental properties such as its Hubble type lenticular galaxy giant elliptical galaxy and distance (10-16 million light-years, NGC 5128 is one of the closest radio galaxies active galactic nucleus has been extensively studied by professional astronomers. The galaxy is also the fifth brightest in the sky, making it an ideal amateur astronomy target, although the galaxy is only visible from low northern latitudes and the southern hemisphere. The center of the galaxy contains a supermassive black hole weighing in at 55 million solar masses, which ejects a relativistic jet that is responsible for emissions in the radio wavelengths. By taking radio observations of the jet separated by a decade, astronomers have determined that the inner parts of the jet are moving at about one-half of the speed of light. X-rays are produced farther out as the jet collides with surrounding gasses resulting in the creation of highly energetic particles. 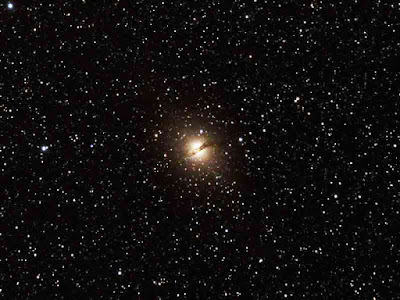 The radio jets of Centaurus A are over a million light years long. 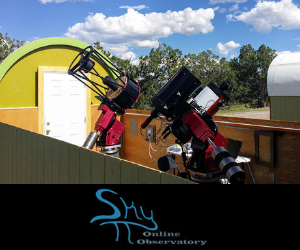 The remote robotic telescope specializing in astronomy education used for imaging Centaurus A was a Takahashi SKY90 3" (90mm) Apochromatic Refractor with a 500mm focal length and an f/ratio of 5.6 mounted on a Paramount ME. 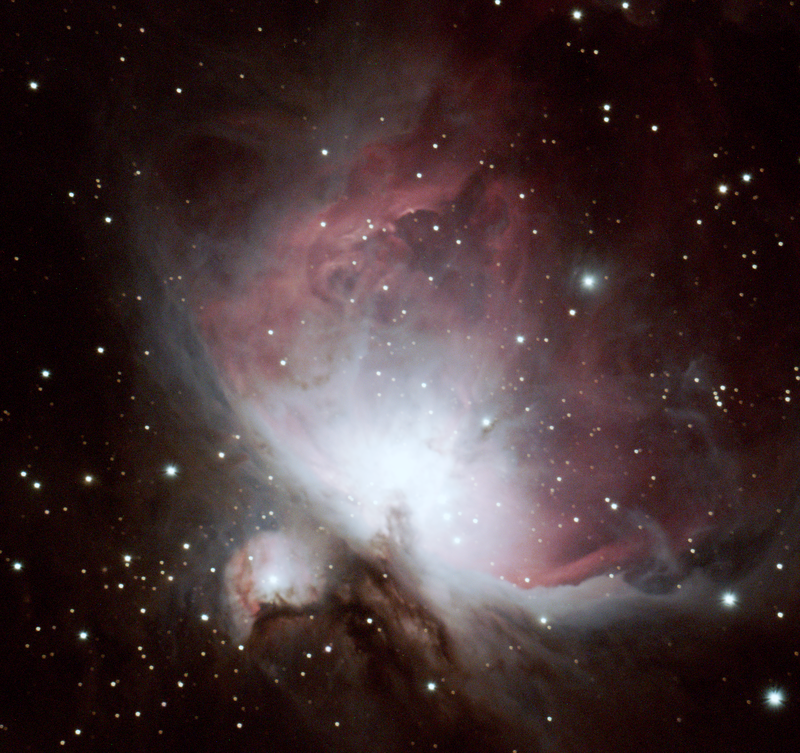 The CCD camera used for imaging was an SBIG ST2000XMC One Shot Color CCD.